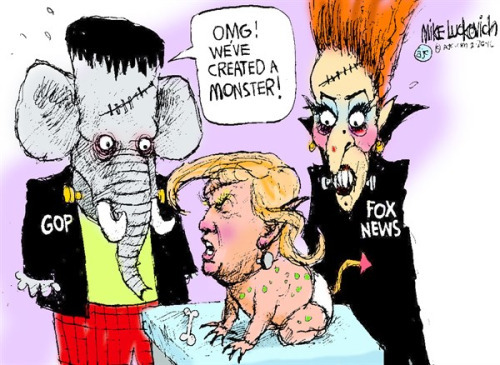 Trump is the GOP's Frankenstein monster. Now he's strong enough to destroy the party = Most intense, potent, rotten, smutty, power-hungry pig, the Ogre of Darkness, has horns! Mary Shelley's 'Frankenstein; or, The Modern Prometheus' = Yes, he's really Mr Trump ('The Don'). He's intense! Freak! Moron!